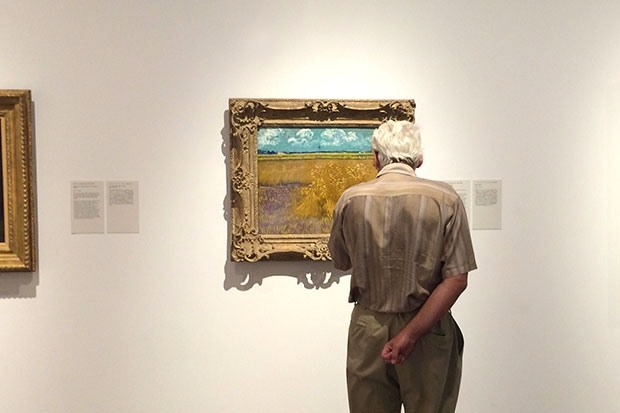 Do you make it a point to see Vincent van Gogh’s Wheat Field every time you visit the museum? 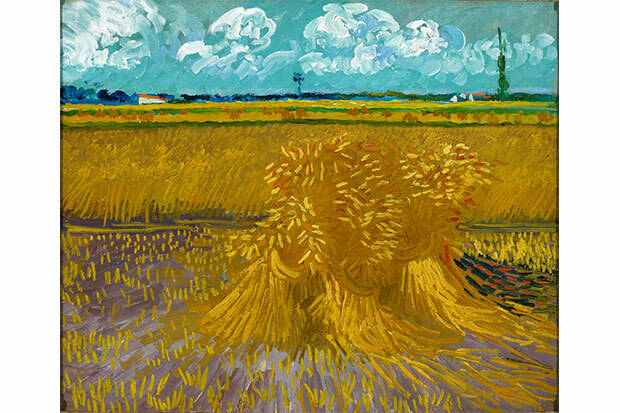 Well, heads up that you have exactly one week to get your fix of artistic gluten before the work heads to the National Gallery of Victoria in Melbourne, Australia, where it will be in the exhibition Van Gogh and the Seasons, until mid July. Internationally known and sought after for van Gogh shows, the painting is a globe trotter. Four years ago, the 1888 oil painting spent a year touring North America, and four years before that it went to Basel, Switzerland, for an exhibition of van Gogh landscapes. In 1998, it was included in A Hawaii Treasury: Masterpieces from the Honolulu Academy of Arts at the Musée d’Orsay in Paris—bringing the work within 464 miles of its birthplace in Arles. Then there’s the whole story of its journey to Honolulu in 1941. Mr. van Heugten previously served as head of collections at the Van Gogh Museum in Amsterdam and is curating Van Gogh and the Seasons in Australia. In effect, he adds another rotation to the “never-ending cycle” in which Wheat Fields finds itself by tapping it for the National Gallery of Victoria exhibition. Going along for the ride this time is HoMA’s head of collections Pauline Sugino, who traveled with Wheat Field to Basel in 2009. “Artwork of higher value, fragility, complication or special treatment requires that we send a courier to ensure that it is safely transported, handled and installed,” Sugino explains. For a work of Wheat Field’s stature, all travel details are closely guarded, while its courier carefully documents the phases of transit. To be a qualified courier and travel with works through international customs, Sugino has to retain special levels of security clearance and pass annual tests. Additionally, she says, “Trips can be physically challenging—crossing multiple time zones, extremes of climate, long plane and truck rides, and tremendous jet lag. They can be culturally challenging as well.” She recalls a recent trip to Japan—a 19-hour time difference—in which she was immediately thrown into a role as translator for other couriers during a never-ending welcome dinner. On a Korea trip, she arrived to discover that the plexiglass provided to protect the museum’s painting was too short. “Diplomacy and tact are always needed when you least expect it,” she says. Clearing the logistical hurdles created by in-demand works is one of the ways the museum continues its mission to “bring together great art and people.” In the case of van Gogh, it’s also a way of letting others share in appreciating an artist who spent the last years of his life vividly glorifying humble rural scenes and people—with scant approval from his public.